Today I went to New Lanark to meet up with the Lanark group of the Scottish Wildlife Trust (SWT). The walk began at 08.00. 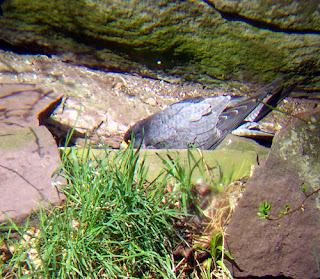 There are always birds to see at New Lanark and the Falls of Clyde at all times of the day. It was going to be a circular walk of around 5 miles. New Lanark and the Falls of the Clyde are located in South Lanarkshire. The area has been a UNESCO World Heritage Site since December 2001. 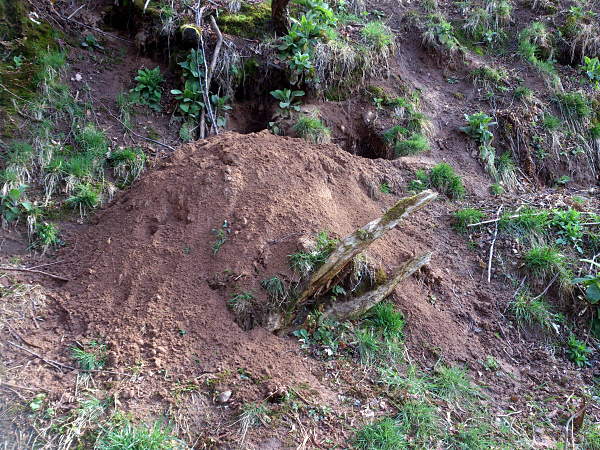 The wildlife area around the Falls of the Clyde is managed by the SWT. It was an early start for me as I had to leave the house at 06.20 in order to get a bus to Motherwell and then the 07.10 train to Lanark. I was met at Lanark by walk organiser Josanne and her husband and they drove me the short distance to New Lanark for the start of the walk. It was slightly cold at the start of the walk and everyone had to wear their woolly hats and gloves, but soon the sun came out and it became much warmer. Before starting on the walkway we took a look over the River Clyde and spotted a Dipper and a Grey Wagtail. The walk then took us round the back of the Corra Linn Power station and up a path towards some woods. Birds seen on this part of the walk included Wrens, Robins, Blackbirds, Goldfinch, Willow Warblers, Bullfinch, Chaffinch and Swallows. 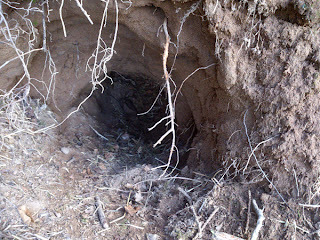 The path was well worn and easy to follow. 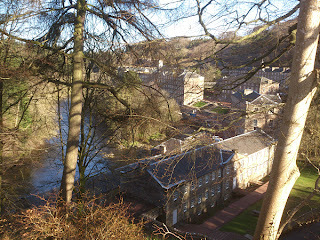 There were some great views of New Lanark and the River Clyde on this part of the walk, although Corra Linn (one of the waterfalls of the Clyde) had only a trickle of water running down it. A few walkers were out at with their dogs and spoke to us as they passed. As with all bird-watching groups, it was a case of walking and stopping to look at the birds in the trees. Fortunately, the late Spring has resulted in the trees not having as many leaves as they should at this time of the year and this helped in seeing the birds more easily on the trees. 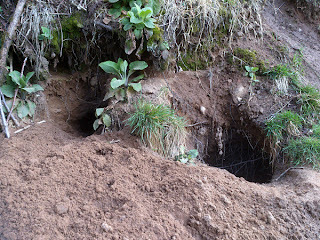 At one part of the path we were able to view a few badger setts and the fresh soil outside two of them revealed that they had only been dug in the last few days. New Lanark is a favourite spot for badgers. The woodland meander took about 1.5 hours after which we came out onto a minor road. After a short walk along it we turned into a field with two white cart horses. We stopped for lunch and sat on some old tree trunks which had been placed in the field as seating for walkers in the area. Lunch - who needs an expensive restaurant? 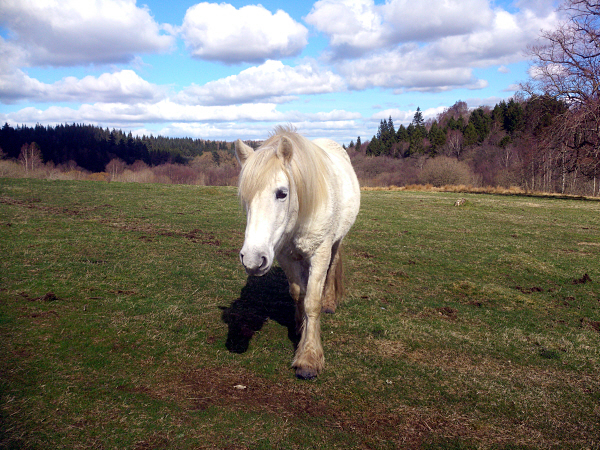 One of the horses came over looking for food but none was offered, as a sign at the entrance to the field said that they should not be fed. 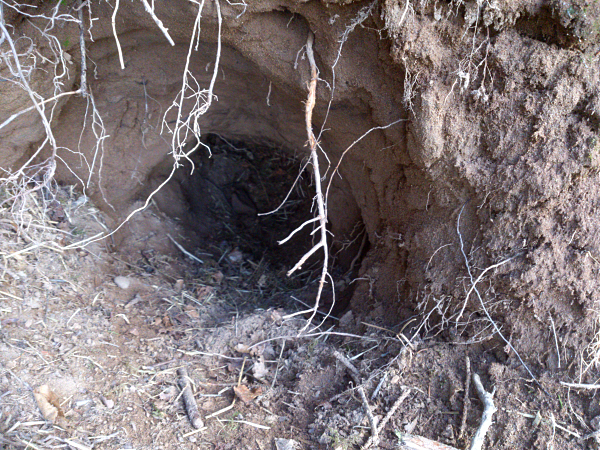 By this time it had warmed up and the sun was shining brightly. It was a pleasant spot for lunch. 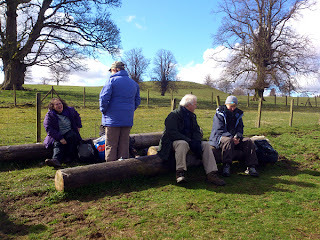 After about 25 minutes we finished our lunch break and started walking through the field on our way back to the start. 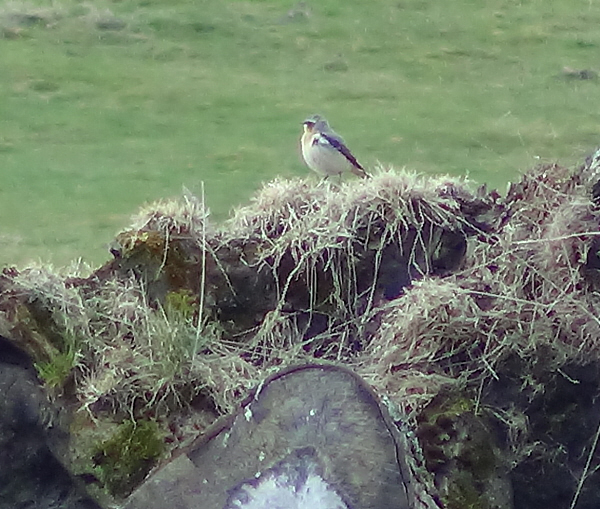 David, who was leading the walk, spotted a Wheatear sitting on the remains of an old tree-trunk on the adjoining field and we all managed to get a good view of this beautiful bird. 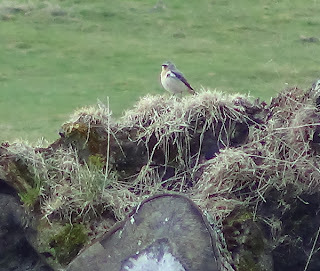 One lady in the group explained that Wheatears have a white rump which makes them easy to identify. 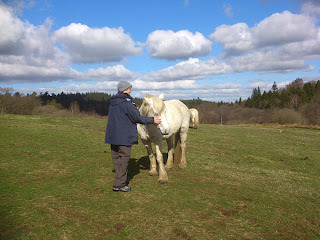 The name has nothing to do with wheat or ears but is an altered white-ar*e, which refers to its prominent white rump. 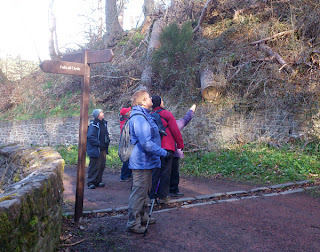 We exited the field at the power station and walked to the Peregrine site at the falls of the Clyde. 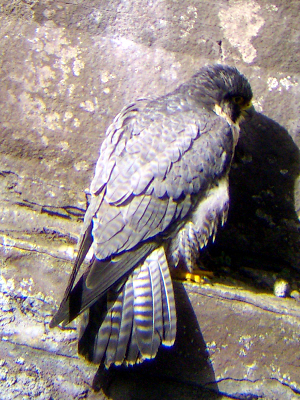 We were fortunate to view both the male (tiercel) and female (falcon) Peregrine. 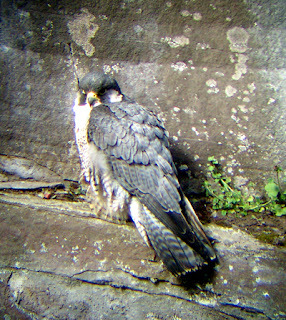 The female had been sitting on the nest all night and was on a ledge having a wee break a short distance from the nest. The male was taking his turn sitting on the nest incubating the egg. There has only been one egg laid this year. We were able to get excellent views of both birds through then spotting scopes provided by the Scottish Wildlife Trust. After this, it was a short walk back to where the walk had begun earlier and we were able to get more excellent views of the buildings in New Lanark. One last bird we saw before finishing the walk was a Treecreeper on a tree beside the banks of the River Clyde. We arrived back at at the start at approximately 11.30. 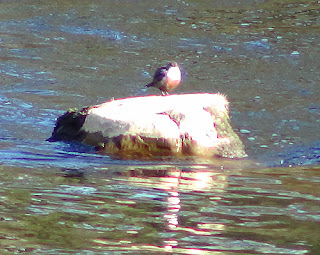 It had been an excellent day and the sunny weather had allowed us to see a good selection of birds. 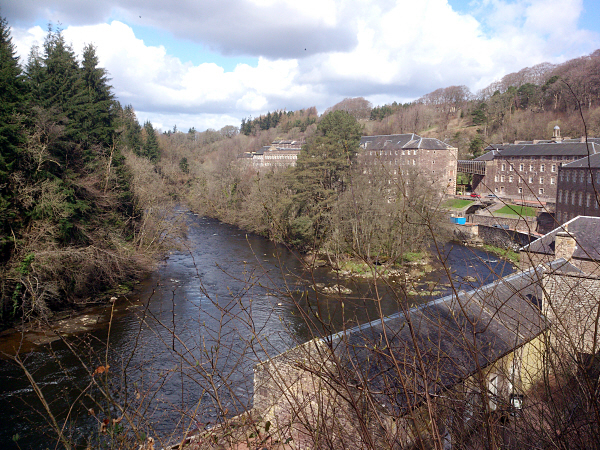 New Lanark and the Falls of the Clyde are located in South Lanarkshire. The area has been a UNESCO World Heritage Site since December 2001.